Arastta comes fresh out of installation with 4 Payment Gateways. 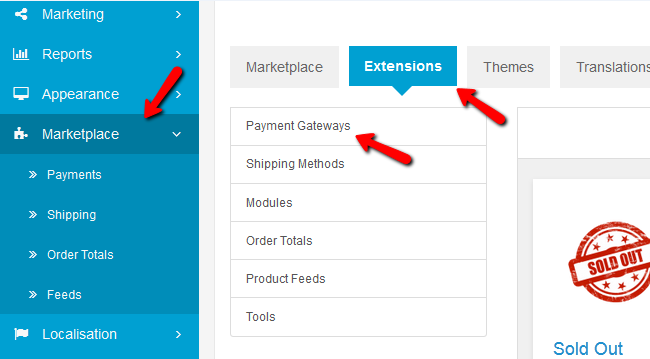 You can get additional payment methods by browsing the Marketplace>Extensions>Payment Gateways section. Currently there are 16 Arastta core payment methods there which you can get for free and additional two user made payment gateways also free of charge. After you have added the desired payment gateway, you will need to install, enable and configure it. 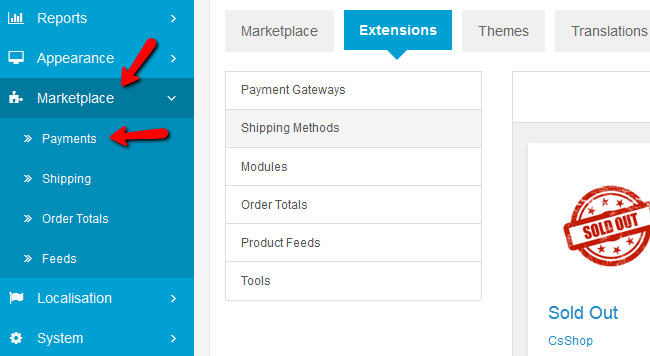 To access the Payment Gateways section of your store go to Marketplace>Payments. 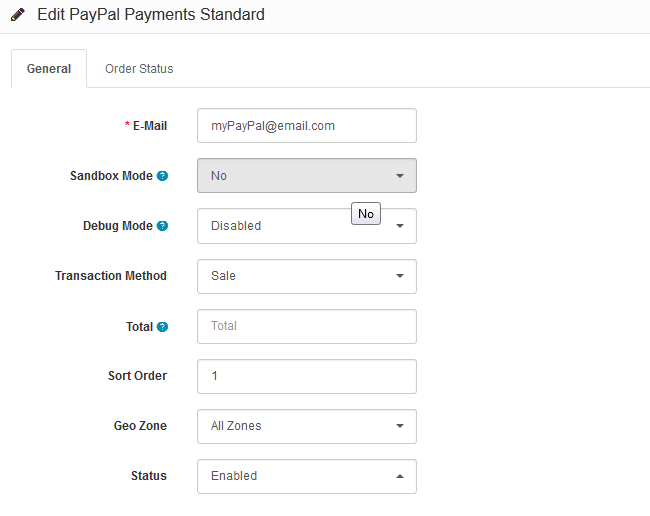 In this tutorial we will configure the PayPal Payment Standard gateway. After we have added the gateway from Marketplace we will need to install it before we can edit it. Click on the green Install button. Once installed the blue Edit icon will become available to us. On this page you will see the General and Order Status tabs. The General tab is where you must configure the gateway itself. 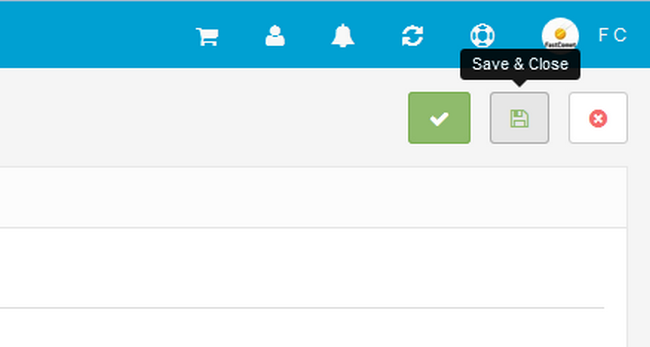 When you are done click the Save & Close button to save the changes and get back to the Arastta Payments page. Now your clients can use the PayPal Payment Standard gateway for purchasing products from your store.